Western Ghats has been a buzz word in the popular press recently, unfortunately, for wrong reasons. Ironically, majority of the states which enjoys the benefits of the ecological services rendered by the age old mountain range were very critical about a crucial report to protect it in sustainable ways. It is where these humble books published by Zoological Survey of India on Fauna of Western Ghats stands relevant. 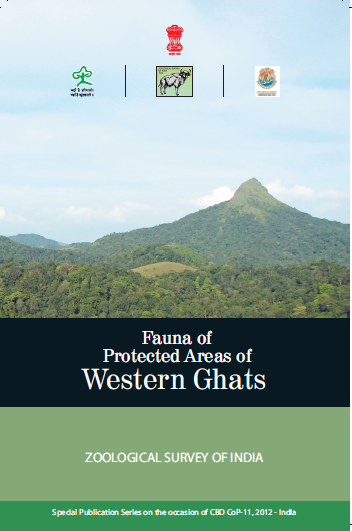 As politicians, mining lobbies and other parties of vested interests are raking up a malicious campaign full of misguiding arguments against the conservation efforts; the book - Fauna of Ecosystems of India - Western Ghats - clearly upholds the conservation significance of the mountain range by depicting its rich fauna in just 14 pages. Western Ghats and its conservation significance is a very tough and complex subject, just like the mountain ranges. However, the book delineates it in a very simple manner, first by going through the international recognition it has got for its rich biodiversity, then by depicting its rich fauna in terms of numbers. In the end, to subliminally point out the grim picture of its present conservation status, the book also reveals that only 10 percent of the total area of Western Ghats comes under protected category. 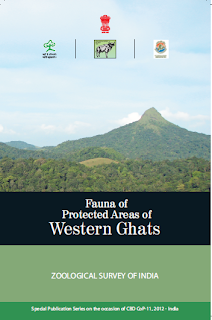 The other book - Fauna of Protected Areas of Western Ghats- on the other hand, gives readers a quick glance through the different protected areas in Western Ghats with the number of protected areas, their area and the established year. The books are very much matter of fact to the core. No jugglery with tougher scientific terms which always go over the head of the common man who wants to understand about the need to conserve the mountain range. 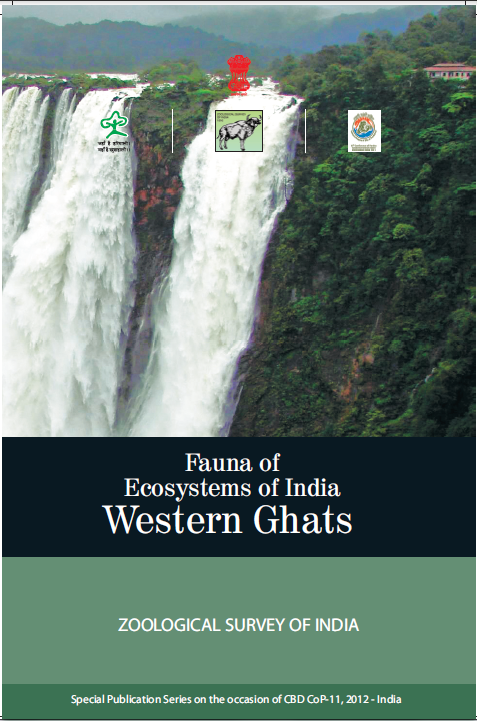 Though the books do not delineate the ecosystem services rendered by the fauna of Western Ghats, they give a very detailed and updated picture regarding the rich biodiversity of the region. Published during the CoP XI event in Hyderabad to elaborate the rich biodiversity of the country, these books are parts of a series of books published by Zoological Survey of India. These books and their content is a ready reckoner, not only for a green activist who works for Western Ghats conservation, but for all people who directly or indirectly enjoys the resources of the mountain range.